The all-new BMW X5 is set to enter its third generation with a newly available rear drive model, the 2014 X5 sDrive35i, that will start at $53,725. The 2014 BMW X5 xDrive35i is priced at $56,025. The 2014 BMW X5 xDrive35d price is $57,525 and the 2014 BMW X5 xDrive50i will start at $69,125 (all prices include $925 destination and handling). The all-new BMW X5 sDrive35i rear-wheel drive model and X5 xDrive35i will be powered by the 300 horsepower 3.0-liter TwinPower Turbo inline-six engine. The V8-powered X5 xDrive50i will use BMW’s latest 445 horsepower 4.4-liter TwinPower Turbo V8. All models will be equipped with BMW’s latest 8-speed automatic transmission. Newly-standard equipment for the X5 includes BMW’s Auto Start-Stop system, BMW’s iDrive4.2 Navigation System with Touchpad, 10 years of BMW Assist eCall service, 10 years of BMW TeleService, BMW Apps, 40-20-40 split-folding rear seat, and now standard Servotronic speed-sensitive power steering. The all-new 3rd-generation BMW X5, manufactured in Spartanburg, South Carolina, will arrive in US showrooms in the fourth quarter of this year as the TwinPower Turbo inline six X5 sDrive35i and X5 xDrive35i as well as the TwinPower Turbo V8 X5 xDrive50i. The BMW Advanced Diesel X5 xDrive35d will follow in early 2014. 2014 Ram Heavy Duty line of pickup trucks gets the all-new 410 horsepower 6.4-liter HEMI® V-8 engine along with the standard 383 horsepower 5.7-liter HEMI V-8 and available 385 horsepower 6.7-liter Cummins High-Output Turbo Diesel engines. The 2014 Ram 2500 Heavy Duty starts at $30,695 (including $1,095 destination) with the new 6.4-liter HEMI option priced $1,495 greater than similarly equipped 5.7-liter HEMI-powered Ram. Beginning in the 2014 model year, the Ram 2500 will offer a range of new 18- and 20-inch wheels, a cargo-view camera, a flat-load floor option with fold-out panels that create a flat surface across the floor of the rear seating area and a rear air suspension system where an air bag replaces the coil spring much like the Ram 1500. 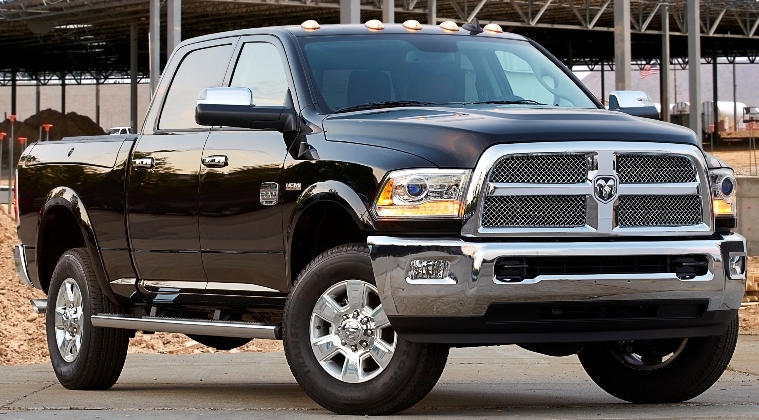 Start of production of the 2014 Ram 2500 and 3500 Heavy Duty is scheduled for the third quarter of 2013 at the Saltillo Truck Assembly Plant in Coahuila, Mexico. 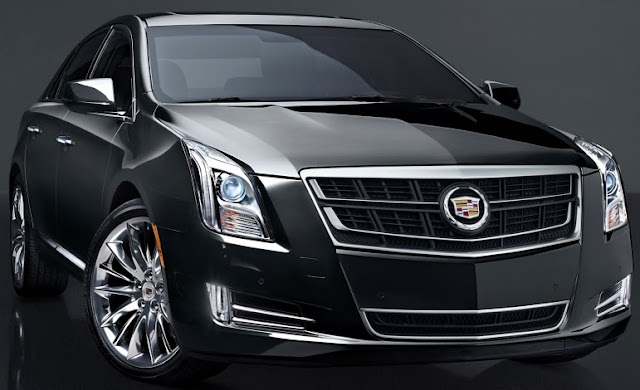 The all-new 410 horsepower Cadillac Twin Turbo V6 engine producing 369 lb-ft of torque will go into production in August as an optional engine for the 2014 XTS and will be in the upcoming all-new 2014 CTS sedan. The 2014 Cadillac XTS starts at $45,525, including destination fees, unchanged from 2013, and comes with the 306 horsepower 3.6L dual overhead cam V6 that is standard in the XTS in the U.S. market. The all-new 2014 Mazda3 is completely redesigned for its third-generation model with a choice of the SKYACTIV-G 2.0-liter and SKYACTIV-G 2.5-liter gas engines. There's an all-new in-car infotainment system and several all-new safety systems known as i-ACTIVSENSE using sensing devices such as milliwave radars and cameras to support the driver in recognizing hazards. Also coming with the 2014 Mazda3 is a Lane Departure Warning System, Forward Obstruction Warning, Mazda Radar Cruise Control and Smart City Brake Support. The all-new 2014 Mazda3 goes on sale in the United States this fall. Nearly two-thirds of issues experienced by owners in the first 90 days of ownership are design-related problems like driver interface, which includes voice recognition or hands-free technology, Bluetooth pairing for mobile phones, and the navigation system, according to the J.D. Power 2013 U.S. Initial Quality Study (IQS). Overall initial quality for the industry averages 113 problems per 100 vehicles. Porsche ranks highest among nameplates listed below, averaging 80 PP100. followed by GMC with 90 PP100, Lexus with 94 PP100, Infiniti with 95 PP100 and Chevrolet with 97 PP100 accounting for five highest-ranked positions. Among the 26 model-level segment awards, Chevrolet receives five, while Honda, Kia, Mazda and Porsche each receive two. Chevrolet models receiving an award are the Avalanche (tie), Camaro (tie), Impala, Silverado HD and Tahoe. Honda receives awards for the Civic and CR-V; Kia for the Soul and Sportage (tie); Mazda for the MAZDA2 and MX-5 Miata; and Porsche for the Boxster and 911. 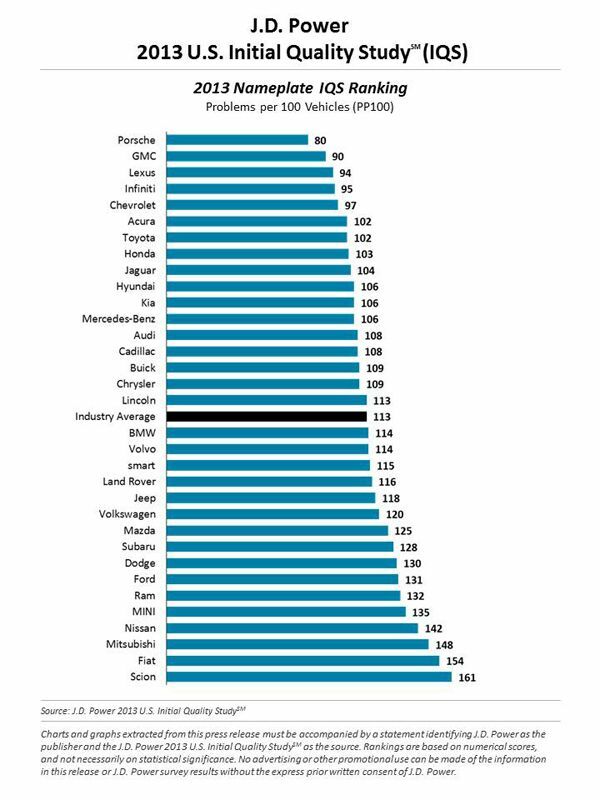 The Lexus LS ranks highest in the Large Premium Car segment and achieves 59 PP100, the lowest average problem level among all models in the study. Also receiving segment awards are Acura TL; Buick Encore (tie); Cadillac Escalade; Chrysler Town & Country; Ford Mustang (tie); GMC Sierra LD (tie); Hyundai Genesis Sedan; Infiniti FX; Mercedes-Benz GLK-Class; Nissan Murano; smart fortwo; and Toyota Camry. Beverly Hills most famous street was closed down to traffic for displays of collector vintage and exotic cars from the early 1900's to present day. The popular attractions included the McLaren P1, the variety of models of Ferrari, Lamborghini and Maserarti vehicles spanning decades, plenty of Cadillacs, and, yes, even a corporate jet - Bombardier's new Learjet 85 fuselage representing the latest, largest aircraft in the 50 year history of Lear which will have a price tag of nearly $19 million and can take 9 people about 3,000 miles non-stop at mach 8.2. 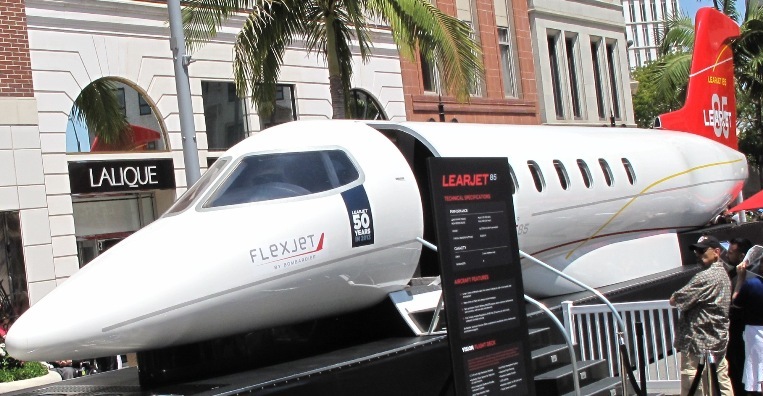 To make it more affordable, Flexjet offers fractional ownership which means 16 people can own one plane for $1.1 million each and $6,800 a month for 50 flying hours per year. The all-new BMW 4 Series Coupe will be offered as a 428i with a 240 horsepower TwinPower Turbo 2.0-liter 4-cylinder engine carrying a base MSRP of $41,425, and a 435i Coupe with a 300 horsepower Twin Power Turbo 3.0-liter inline six with a starting price of $46,925 for the rear wheel drive models. Both will be available with a standard 8-speed sport automatic or six-speed manual transmission. The 2014 428i xDrive Coupe will start from $43,425 and the 435i xDrive Coupe from $48,925. The chassis construction is based on the latest BMW 3 Series Sedan so the all-new BMW 4 Series Coupe has a longer wheelbase, wider track and lower ride height than the previous-generation BMW 3 Series Coupe. All four variants of the BMW 4 Series Coupe will arrive in US showrooms late this summer. 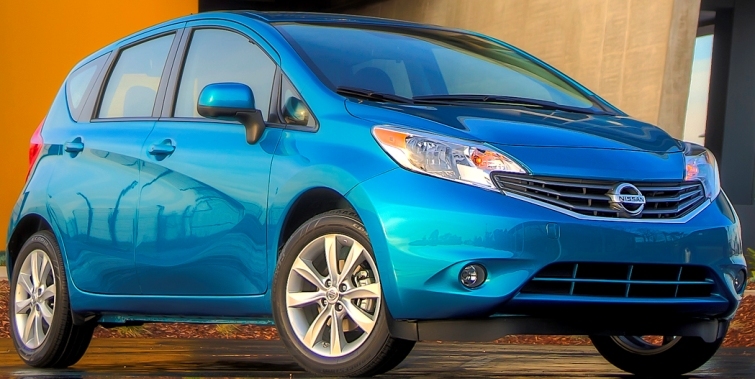 The 2014 Nissan Versa Note, the second generation Versa hatchback, with a 1.6-liter DOHC 4-cylinder engine with dual fuel injection and Twin CVTCS starts at $14,780 (including $790 Destination and handling) for the entry S trim level. The S Plus starts at $16,030 and SV at $16,780, with available SV Convenience Package ($540 USD), SL Package ($1,700 USD), Sport Value Package ($760 USD) and SL Tech Package ($800 USD). The front-wheel drive Versa Note gets 40 mpg highway, 31 mpg city for a combined 35 mpg for CVT-equipped models - so this Note goes for a song with fuel economy that is music to our ears. The 2014 Jeep Cherokee, available in Sport, Latitude, Limited and Trailhawk trim levels with either 2 or 4 wheel-drive, starts at $400 less than the outgoing 2012 Liberty model and is powered by a new 184 horsepower 2.4-liter MultiAir2 Tigershark I-4 engine and mated to a nine-speed automatic transmissionwith fuel economy of up to 31 miles per gallon. The Latitude, Limited and Trailhawk offer an optional new 271 horsepower 3.2-liter Pentastar V-6 engine. 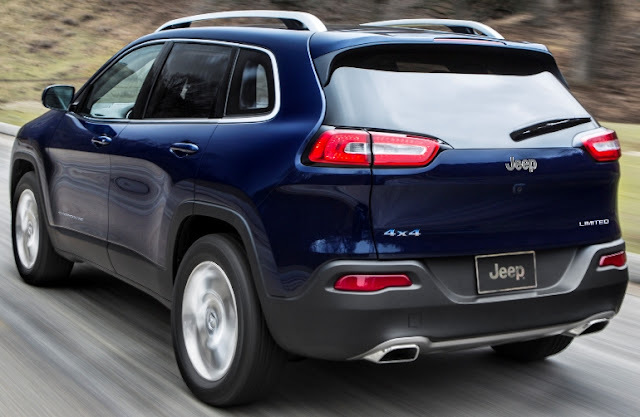 The 2014 Jeep Cherokee Sport 4x2 starts at $23,990 (including $995 destination), the Jeep Cherokee Sport 4x4 starts at $25,990, the Jeep Cherokee Latitude 4x2 at $25,490, the Jeep Cherokee Latitude 4x4 at $27,490, the Jeep Cherokee Limited 4x2 at: $28,990, the Jeep Cherokee Limited 4x4 at $30,990, and the Jeep Cherokee Trailhawk 4x4 at $30,490. The Cherokee Sport model standard equipment includes a Uconnect 5.0-inch touchscreen media center with Bluetooth, a new 3.5-inch full-color, thin-film transistor (TFT) LED center cluster, 10 air bags, LED tail lamps and daytime running lamps, halogen projector headlamps, Hill-start Assist. Optional equipment includes Jeep Active Drive I 4x4 system, Selec-Terrain drive mode selector (standard equipment with 4x4 equipped vehicles), SiriusXM Radio andParkView rear backup camera with dynamic grid lines. The all-new 2014 Jeep Cherokee Latitude, the volume model for the Cherokee lineup, adds body color power mirrors and door handles, bright daylight opening (DLO) molding and roof rails, deep tint sunscreen glass, fog lamps, power windows with one-touch up and down, front passenger fold-flat seat with in-seat storage space, leather-wrapped steering wheel, ambient LED interior lighting, new 17-inch aluminum wheels, air conditioning with integrated center stack controls, 115-volt outlet and compact spare tire. The all-new 2014 Jeep Cherokee Limited model has leather heated power seats, heated steering wheel, Keyless Enter-N-Go, an 8.4-inch touchscreen radio, SiriusXM Radio, USB in instrument panel media center for iPod, ParkView rear backup camera and remote start. The 2014 Cherokee Trailhawk includes off-road front and rear fascias, off-road wheel flares, red tow hooks, skid plates, off-road suspension, one-inch increased ride height, heavy-duty engine cooling and auxiliary transmission oil cooler, Jeep Active Drive Lock 4x4 system with low range and locking rear axle, Selec-Terrain drive mode selector, new Selec-Speed Control with Hill-ascent Control and Hill-descent Control. 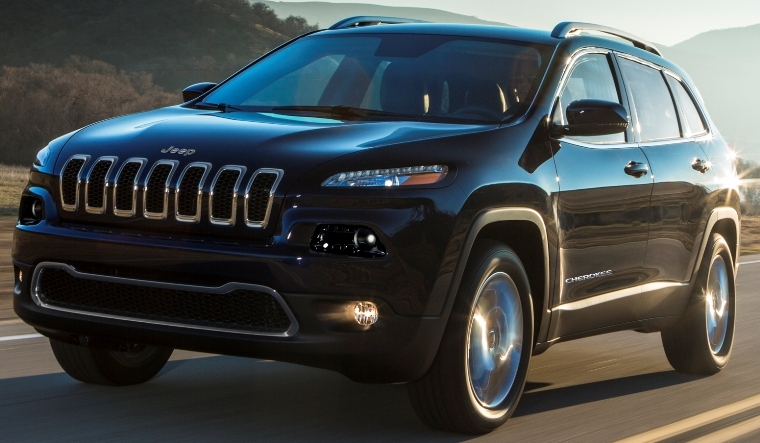 The new Cherokee could grab a nice share of the popular compact SUV market. I'm looking forward to a full test drive. General Motors sold 252,894 vehicles in the United States in May, up 3 percent compared with a year ago. Retail sales increased 9 percent, fleet sales were down 10 percent and the fleet mix was 26 percent of total sales. Year-to-date General Motors has sold 1,155,503 vehicles a 9.9 percent increase over last year. Ford's U.S. May sales of 246,585 was a 14 percent rise, with car volume up 9 percent, utility vehicle sales advancing 15 percent and truck deliveries jumping 18 percent. 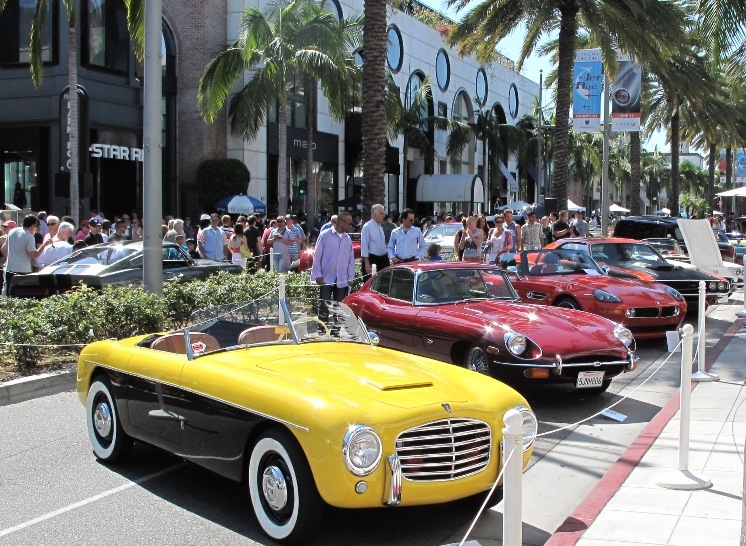 Year-to-date sales of 1,057,652 is a 13 percent increase over 2012. Toyota Motor Sales, U.S.A. reported monthly sales of 207,952 in May 2013, up 2.5 percent from May 2012.Toyota Division posted May 2013 sales of 185,723, up 2.3 percent year-over-year while Lexus reported May 2013 sales of 22,229, up 3.6 percent compared to 2012. Year-to-date Toyota sales are 913,556, up 5.2 percent from 2012. Chrysler Group reported U.S. sales of 166,596, an 11 percent increase compared with sales in May 2012, and the group's best May sales since 2007. Year-to-date sales are 751,646, up 9 percent from a year ago. American Honda reported May 2013 U.S. sales of 140,013, up 4.5 percent compared with May 2012. The Honda brand posted May 2013 sales of 125,649, an increase of 5.2 percent compared with May 2012. Acura brand U.S. May sales of 14,364 units decreased 1.5 percent compared with May 2012. Nissan North America set a new May U.S. sales record with 114,457 deliveries, an increase of 24.7 percent over May 2012. The Nissan division also set a new May record, with 106,558 sales, up 31.2 percent over last year. Infiniti sales in May totaled 7,899, down 25.4 percent from last May. Year-to-date Infiniti sales are 42,119, a 4.1 percent decline from a year ago. Hyundai Motor America May sales of 68,358, up two percent versus the same period in 2012 and up about eight percent over a very strong April. It was the company's second-best sales month of all-time, second only to March 2012, and the fastest daily-selling rate ever. Year-to-date sales are 296,003, up one percent over 2011. Kia Motors America reported best-ever May sales of 52,327, a one percent gain over last year. Year-to-date Kia sales are 226,815, a 4.4 percent decline from last year. Volkswagen of America reported May sales of 38,013, a 1.7 percent decrease over prior year sales. 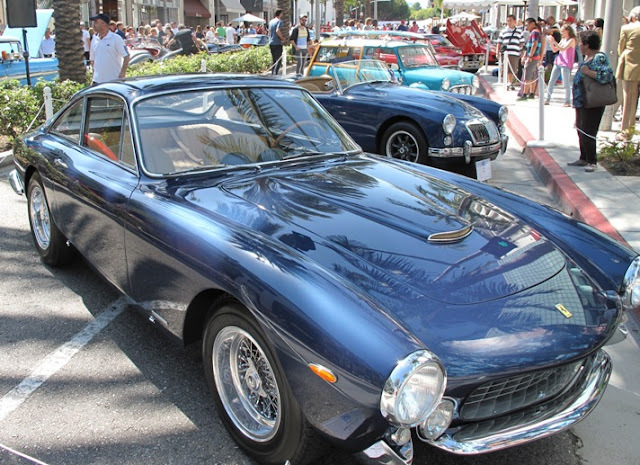 Year-to-date sales of 169,835 is a decline of 0.4 percent from 2012. Separately, Audi reported May 2013 sales of 13,228 vehicles, a 15 percent increase over the previous May record set last year. Year-to-date Audi sales are 60,571, a 15.4 percent gain over 2012. Subaru of America reported historic-high vehicle sales of 39,892 for May 2013, shattering previous monthly sales records. 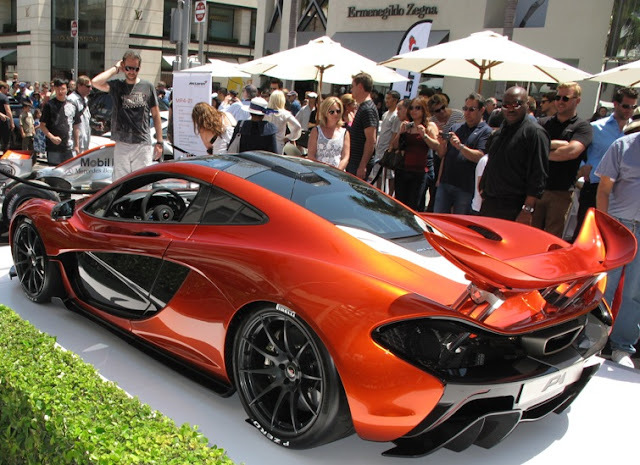 May 2013 sales represent a 34 percent increase over May 2012 and the best sales month in company history. Year-to-date sales for Subaru total 165,362, a 21 percent increase over the same period in 2012. The BMW Group in the U.S. (BMW and MINI combined) reported May sales of 31,174 vehicles, an increase of 10.1 percent from the 28,321 vehicles sold in the same month a year ago. Year-to-date, the BMW Group (BMW and MINI combined) is up 6.3 percent on sales of 139,142 in the first five months of 2013 compared to 130,843 in the same period in 2012. Mercedes-Benz USA reported another month of record highs with sales reaching 27,359, an 8.3 percent increase over May 2012. Sales volumes at Mercedes-Benz jumped 9.8 percent last month, bringing year-to-date totals for the brand to a record high of 117,535. Sprinter Van year-to-date sales increased 5.3 percent from the same time last year to 7,517, combining with steady momentum from smart at 3,678 to round out MBUSA's year-to-date totals of 128,730. Mazda North American Operations reported May U.S. sales of 24,270 vehicles, an increase of 19.2 percent versus last year. Year-to-date sales are 122,447, down 1.2 percent from last year. Porsche Cars North America announced May 2013 sales of 3,928 vehicles. 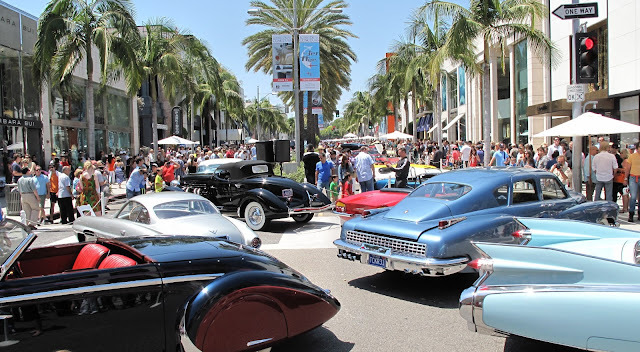 This is the best May sales month – and second best month ever – in PCNA history and compares to 2,852 vehicles sold in May 2012, an increase of 38 percent. For the year, PCNA has delivered 17,609 vehicles in the U.S., up 31 percent over last year's all-time record sales year.